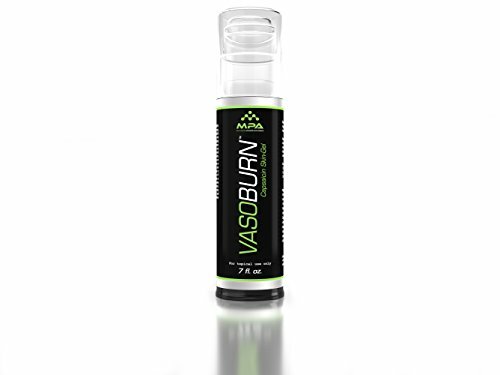 MPA VasoBurn is a topical skin gel that glides on smoothly, and dries rapidly. The ingredients in MPA VasoBurn may support the appearance of tighter , firmer, and thinner skin texture for an overall leaner appearance. This product is ideal for use in combination with/during your caloric deprivation periods - i.e. rigorous dieting, low carbohydrate nutrition protocols, that support a low insulin environment. *Remember to always consult with your doctor before beginning any diet or exercise program. The best places to apply MPA VasoBurn are --- abdominals, glutes, inner thighs, chest, and of course ... the lower back. Apply MPA VasoBurn after showering -- washing away dead skin cells from the body --ensuring maximum coverage. A finely trimmed or shaved body may also enhance the application of ingredients by negating the occurrence of body hair that can make application difficult. If you have any questions about this product by MPA, contact us by completing and submitting the form below. If you are looking for a specif part number, please include it with your message.